I was not much interested in this fashion for dolls, much enchanted by the full sway of GWTW full skirts. 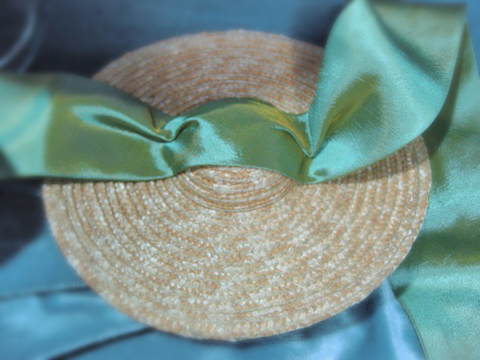 But just as GWTW had enchanted me by its story and film, eventually spinning my love for GWTW fashion, my attention was drawn to the Regency fashion by yet another woman writer and her lead female character who was progressive as Scarlett O' Hara -- albeit not as scandalous. 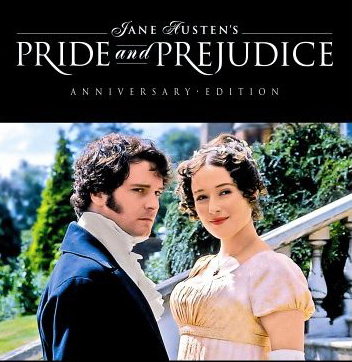 Pride and Prejudice came to my attention when my sister nudged a DVD of the BBC adaptation of the novel in a mini-series starring the (then) young Colin Firth and a young actress named Jennifer Ehle. I set it aside for awhile and was prompted only to watch it when I chanced upon a scene of it in youtube. The link provides you with one of the highpoints of the series: Darcy's proposal. I was struck not only by how well these two actors delivered Austen-esque dialogue and also -- Jennifer Ehle's similarity to Meryl Streep in looks. Ehle I believe is an underrated actress -- by Hollywood standards. She desires to keep a low profile I believe (too sad for the industry) and focuses on family, stage and some TV projects that come her way. She is also daughter of Rosemary Harris -- an equally accomplished actress (who plays Spiderman's -- Toby Maguire's -- aunt). Jennifer Ehle, an accomplished actress who I wish would get more lead roles and more movies. She and Colin Firth used to date during "Pride and Prejudice". They reunite much to the delight of P&P fans in "The King's Speech". She reminds me of Meryl Streep. I would encourage anyone to watch this version which is closest to the Austen novel. Here you see a young Colin Firth as Mr. Darcy. Jennifer Ehle wins the BAFTA here for Best Actress. She is also a 2-time Tony Award Winner and and a recipient of a Lawrence Olivier acting award. 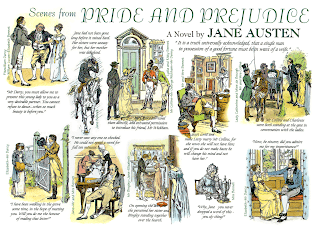 Pride and Prejudice, like GWTW is about love witheld, a progressive woman, it has wild and witty (albeit more intellectual) repartee between the lead subjects of the novel. Elizabeth Bennett is a strong, will-fulled woman caught in an era where it was a woman's main pursuit and aspired destiny to be married, catch a rich husband and live comfortably. 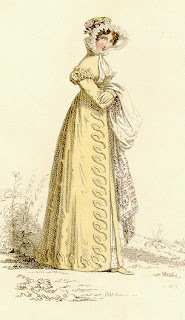 Like Scarlett, Elizabeth Bennett characterization implied the great Scarlett conviction: "why does a girl have to act so silly to catch a husband?" Unlike Scarlett however, Elizabeth Bennett is progressive by her independence and convictions, refusing to marry for comfort nor convenience. It is this attitude that eventually captures the eye of the proud and wealthy Mr. Fitzwilliam Darcy. Austen doesn't paint Elizabeth Bennett as a beauty. Darcy notes this: "not enough charm to tempt me". But it is her rare, and progressive attitude that stands out during those times that eventually makes him proclaim his proposal of marriage. The story doesn't end there and you'll have to read the book to find out how it all ends. 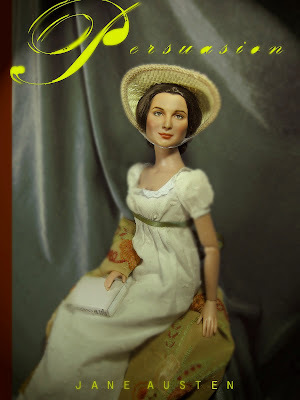 Margaret Mitchell must have been an accomplished reader too and must have read Austen well to create a strong feminine lead who thought differently amidst and beyond women of her times. 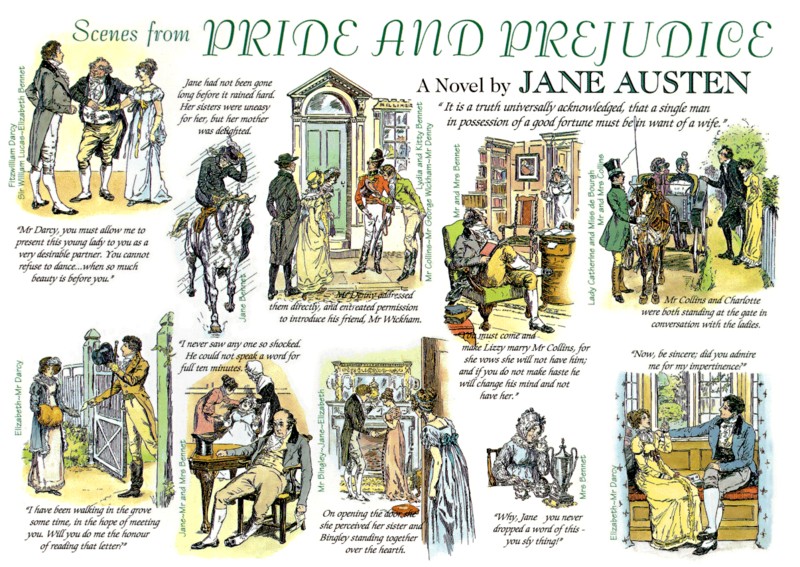 And I think it is this that draws me well to Pride and Prejudice. Drawn to the story, drawn to the BBC adaptation ergo, drawn to Tonner's "Sensible Notion" ensemble under the Anne Harper Designs for the Tonner doll character -- Carol Barrie. Luckily this is one package bought that arrives too. 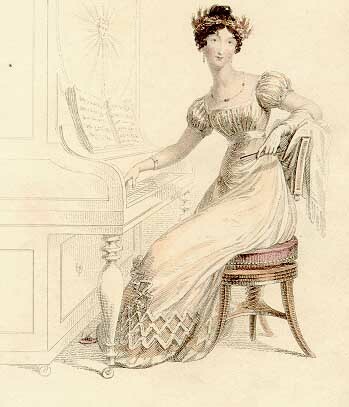 For now not only has the Tonner Portrait been lost -- but also another doll opera gown!! That's another story. 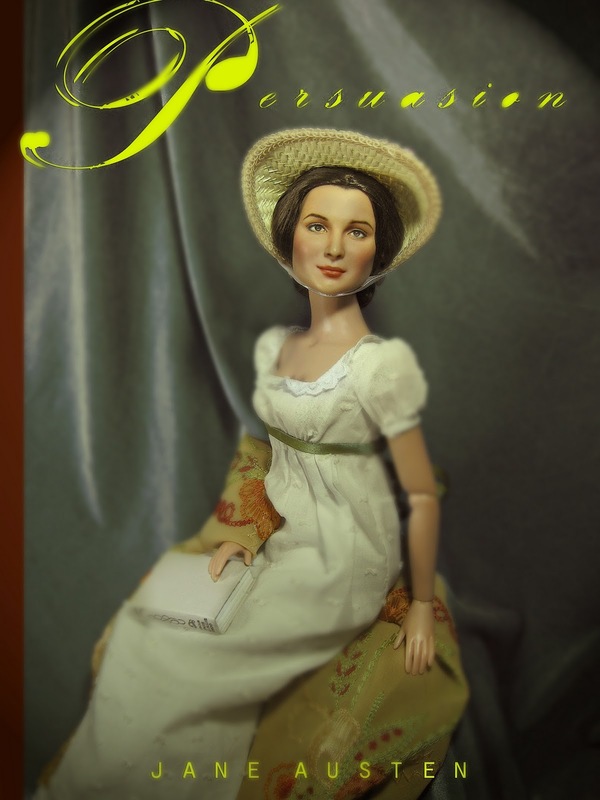 Here are more details to Tonner's "A Sensible Notion". I chose the Tonner Melanie to wear this costume despite her Victorian hairstyle (an era after the Regency), thinking that Melanie Wilkes Hamilton loved Jane Austen novels too. She does quote from British novels as Thackeray and Dickens and so it can be deduced that she must have had some Austen in her reading. 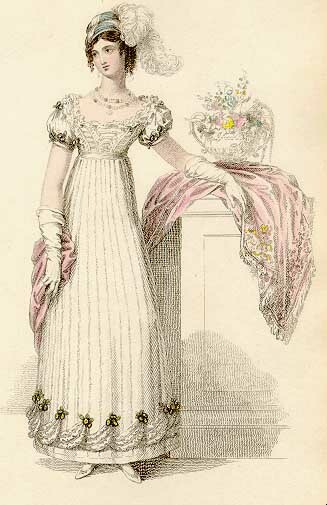 Shawls are always present in Regency portraits of women. 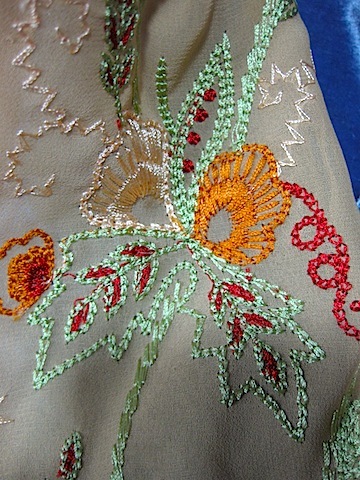 Tonner's "A Sensible Notion" has this beautiful embroidery that adds texture to the plain dress worn by the doll. 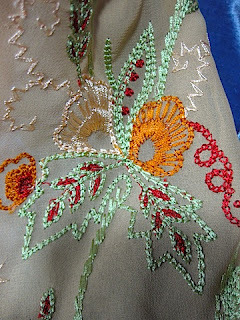 The hem of the white dress has this nice detail. Hardly captured in the portraits I've done though. 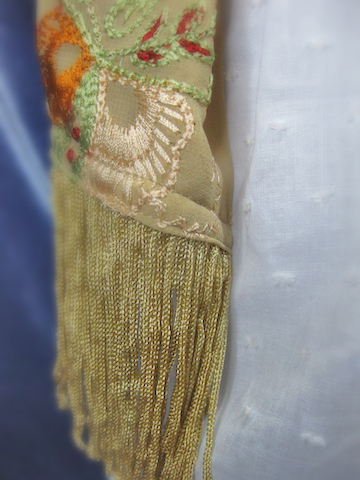 Fringes at the end of the shawl. The Regency's Empire Silhouette. It has a ribbon that can be tied at the back. Well, I hope to get in more photos during the weekend. I haven't been feeling too well and hope this will give me something to look forward to while getting well. Have a nice weekend! Oh! Oh! Oh! This is the only Tonner costume that I truly crave! You've done it so beautifully, as usual. I really hope someday that you will publish a book and that I can afford it, so I can gaze to my heart's content at the classic art you make! I got so excited (love this BBC version of P&P) that I didn't read the rest until after I posted. I'm down with a cold and trust you feel well, very quickly plus you've chhered me up. Thank you! I hope you get well soon too. Sorry for the late reply. This is actually a charming ensemble. It actually comes with a wig for a Carol Barrie doll. I find it interesting that Tonner is actually selling wigs and dolls which can change hairstyles/haircolor with one peel off the hair. I wanted a dark-haired Melanie to repaint into an Ehle-ish Eliza but budget constraints did not allow me to do so. I am still thinking of it though, although hairstyling is not something I am confident of specially the thick hairstyles of the Tonner dolls which are so hard to transform into a pony without cutting extra hair from the inside. But I do so want to do this and I think the Tonner Melanie is very close to Ehle in sculpt. Thank you so much for your post Aunt Lou. 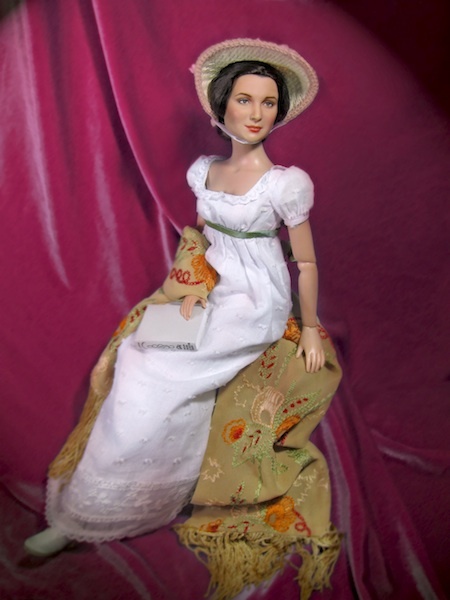 Glad to know the portraits cheered you up -- hoping Tonner does a Darcy costume to match these one too. Thank you for your compliment and for that piece of information about the shoes. The entire outfit is from Tonner doll company. It also comes with a wig which has the "curls" about the face. Yes, it would have been interesting if the doll had flat shoes. I guess they were working with a body mold that didn't have the feet for flat shoes, the doll's feet here are raised to accomodate heels. Perhaps its cost constraints. 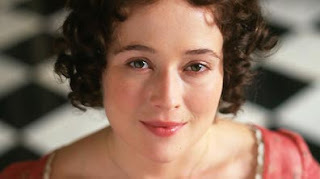 I hope you like Pride and Prejudice as I did with Jennifer Ehle in it. 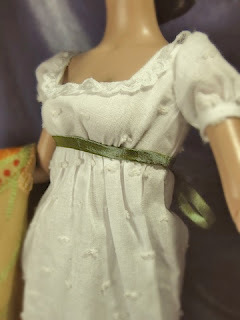 I wish they would make more period costumes for Tonner dolls. 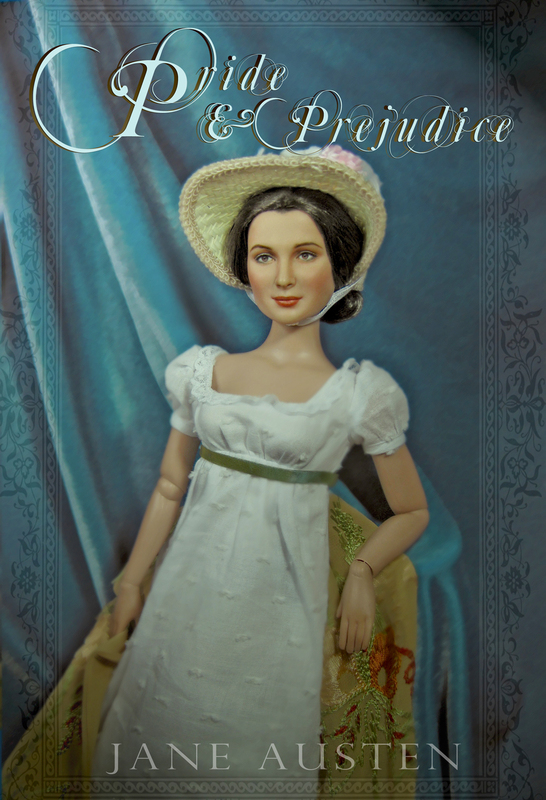 You may want to check Crawford Manor dolls for exquisite, scaled doll costumes with a beautiful works on the Regency period. Again, thanks for passing by. I did enjoy the comment and the information. Much appreciated!! !